roof batten supplier specialist with the best service, professional advice and product range. No 1 Roofing & Building Supplies are the premier supplier and stockist of timber and metal roof batten products. 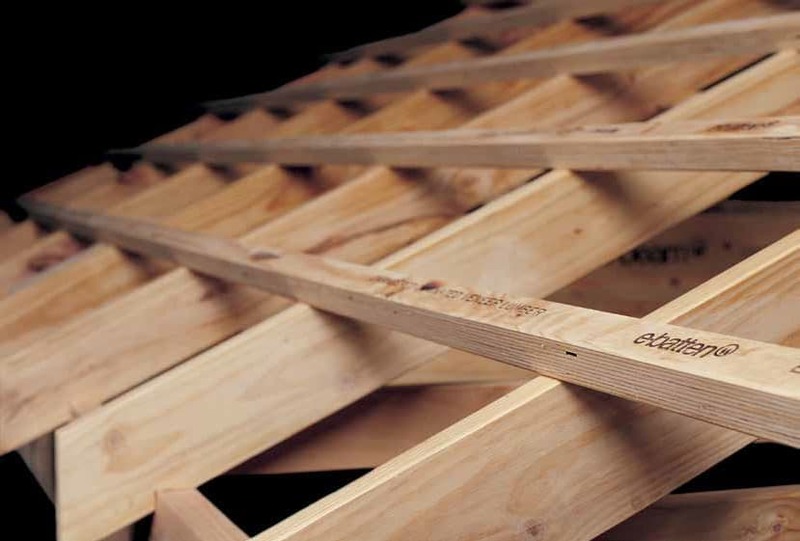 Roof battens are one of those frequently misunderstood and overlooked aspects of house construction. But roof battens perform some incredibly important structural functions to safeguard your roof. The choice of roof batten material is extremely important as is the design of any batten system. This is because battens serve to evenly spread load stresses such as wind (uplift and direct loading) and weight across the roof truss system. Roofs can be subject to enormous forces especially during high wind events and many roofs have failed due to the use of inappropriate fasteners or the incorrect choice of batten material. It’s important to get the right advice whether you’re replacing a roof or designing a new build. Timber roof battens are the traditional batten material and have successfully stood the test of time. Timber roof battens are appropriate for all types of roofing including metal and tile but it is important to correctly assess the wind loadings in play in your specific location. Hardwoods are recommended in high wind areas because fasteners can be ripped out of softer woods. There is a significant difference too in the amount of pull resistance offered by seasoned wood compared with green wood. Many people forget that suction or uplift causes considerable wind damage to roofs so it is vitally important that your engineer/designer applies the correct calculations. LIKE A QUOTE FOR ROOF TILES? Your choice of batten size here will be determined by the weight and span of your metal roof panels. Each product has different requirements, for example, batten spacing for (0.42BMT) corrugated metal roofing needs to be no more than 1100 mm apart, but batten spacing for 0.48BMT metal roofing can be up to 1600 mm apart. Timber battens are traditionally used for tile roofs whether you’re using concrete or terracotta tiles. 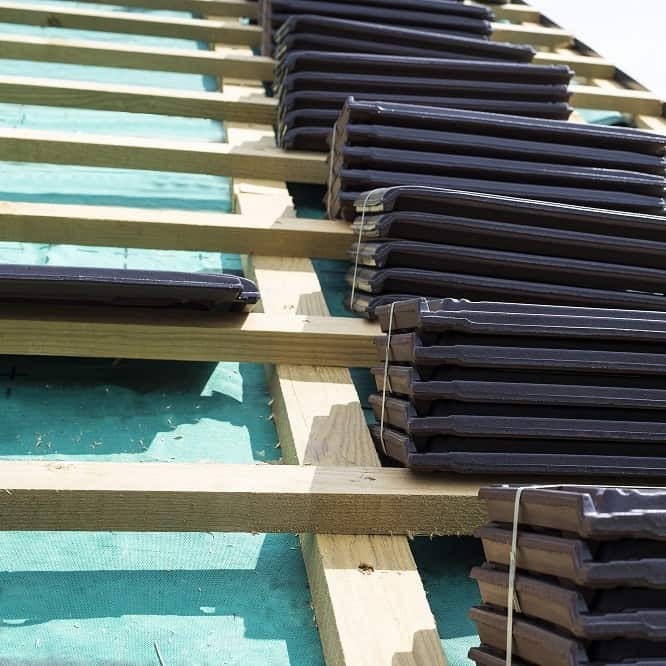 If you’re re-roofing with tiles you may find that some of the original battens need to be replaced. Timber battens for tile roofs must meet the requirements of AS 1684.2, AS 1684.3 or AS 1720.1. We supply 38 x 38mm, or 25 x 38mm non-structural timber battens for tile roofs. 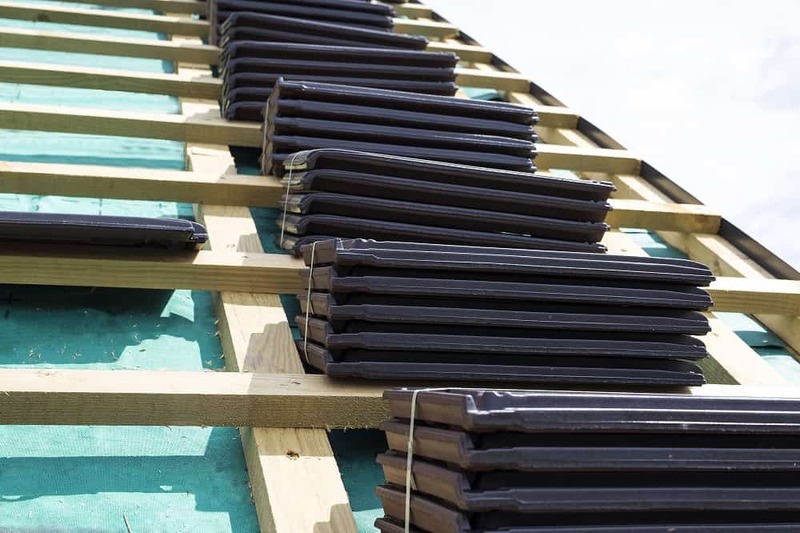 The high performance values of steel roof battens means they are an increasingly popular choice for reroofing or for new builds using tile roofs. Stramit Top Hat 40 are cyclone rated metal roof battens and may be used with concrete or terracotta tiles. 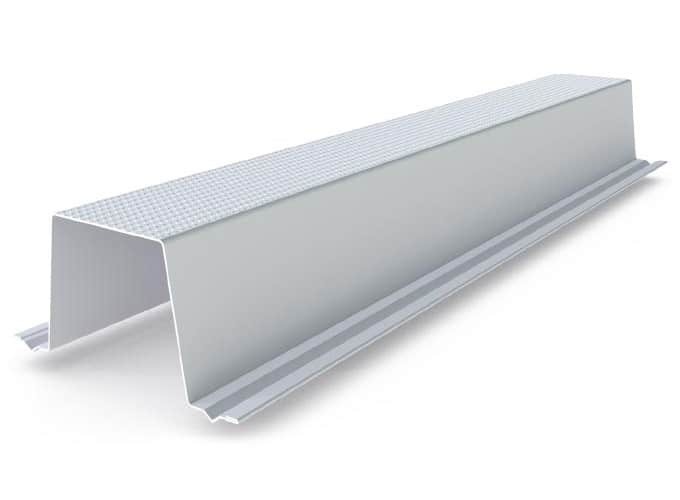 We also supply E-battens at 65mm x 35mm in 6.3 metre lengths (to match truss and rafter spacing). This is an exciting product made from structural laminated veneer lumber (LVL) that meets the AS/NZS4357 standard. They are also engineer certified to meet AS 1684.2-2010 and wind loading requirements up to N4. E-Battens are made in Australia from plantation timber veneers and are termite treated and guaranteed against termite attack south of the Tropic of Capricorn for up to 25 years. LIKE A QUOTE FOR TIMBER ROOF BATTENS? Metal roof battens have been in use in Australia for around 40 years. Metal roof battens may be used with steel or tile cladding. 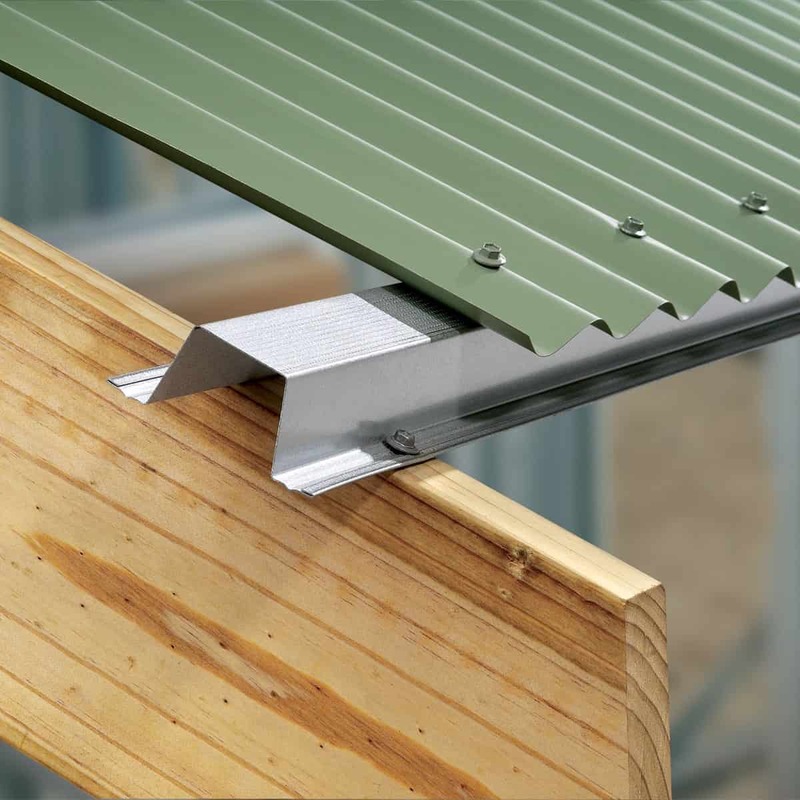 Metal roof battens may also be used with steel or timber support framing. Metal roof battens offer extraordinary strength to weight values and are lighter than timber battens. Metal roof battens will not warp or rot nor are they subject to insect attack. However, they are generally a little more expensive than wooden battens. You also have to be very precise with your fastening alignment. And, as with all batten systems, you need to ensure you’re using the right fasteners for the job. Metal roof battens are usually 40mm high and made from 0.55mm gauge hi-tensile steel. They can nest together to allow for easy storage and handling. The grooved surface on the top and flanges makes for straightforward non-slip fastener placement and also provide a safer surface for roofers to walk on during installation. 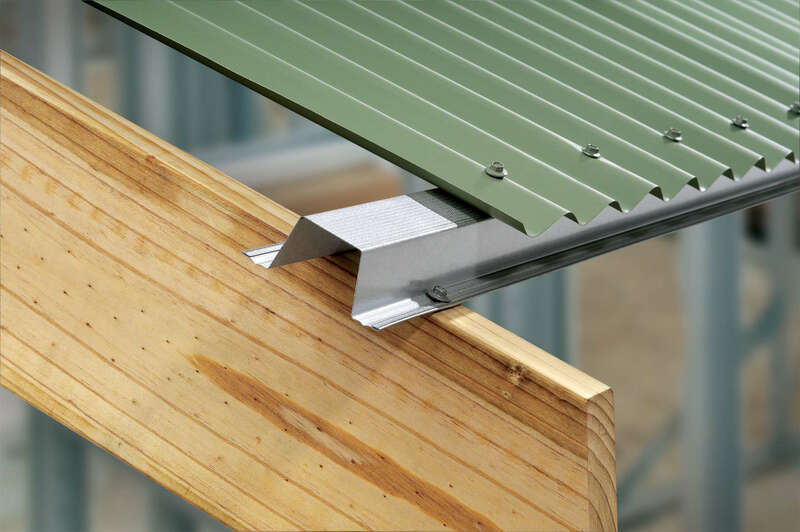 Stramit Top Hat 40 metal roof battens are designed for cyclonic conditions. Top Hat 40 battens are made from 0.75mm gauge hi-tensile G550 steel with a galvanised zinc alloy coating to AS1397 standard. They measure 90mm x 40 mm x 40mm. Metal roof battens such as the Stramit range provide additional torsional strength for your roof truss system too. LIKE A QUOTE FOR METAL ROOF BATTENS? The spacing may also vary across specific areas of the roof where loads are usually higher such as corners and roof edges. Your choice of roof cladding and sheet thickness will also influence the optimal span distances for battens. So Zincalume roof batten spacing may not be the same as Colorbond roof batten spacing. It is important that you check out the building code requirements for your area and the manufacturer’s specifications for your chosen materials and design. These are just some of the standards that apply to the use of battens in Australian housing. If wading through all of that seems like too much of a headache simply come and talk to the No.1 Roofing and Building experts. Our friendly advice and expertise is second to none and we’ll make sure you’ve got what you need for your next roofing project. If you’re laying tiles you’ll probably need to lay sarking or underlay on the roof with the reflective side facing down before you attach your battens. There is a wide range of insulation blankets and reflective type sarking available for metal roofing. Your choice here will depend on your roof design and choice of roofing materials as well as what you’re trying to achieve. For example if you have a roof cavity where you can install thermal insulation then your main focus for using foil backed blanket type products will be to reduce condensation and create a vapour barrier under the roof. 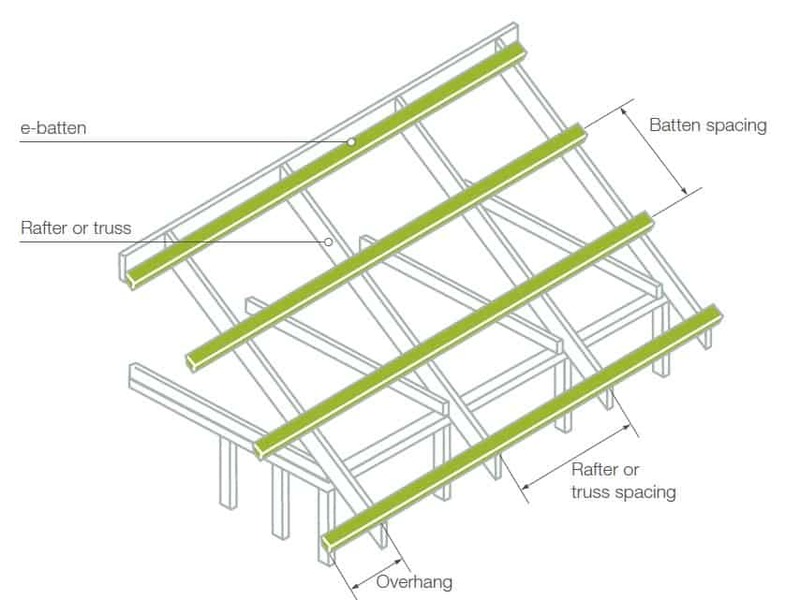 Specific tie-downs may be required for attaching battens to support structures in high wind areas. 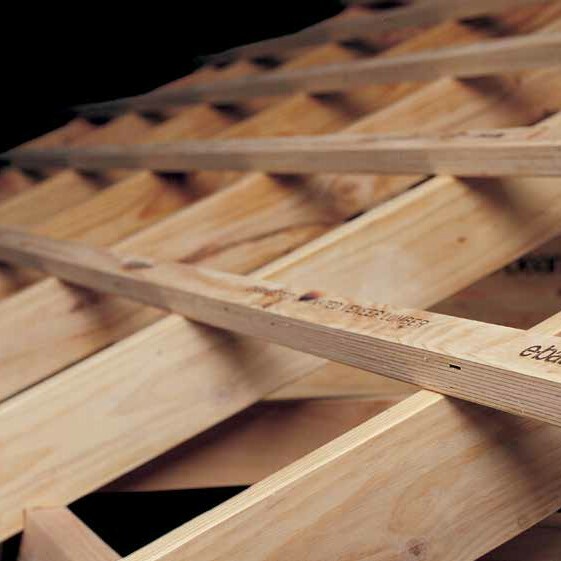 When joins are necessary in timber battens ensure that the join meets over a rafter or truss. Plan your batten layout so that joined battens are staggered across the roof. Use the appropriate fasteners. This is extremely important because using the wrong fasteners may lead to roof failure. For example it might appear that using 75mm nails to attach a 35mm batten to a rafter would be sufficient. But according to the table in AS 1684.2-2010 this is insufficient for battens at 900mm centres in a N1 wind speed area. Avoid any contact between CCA treated timber and steel roofing as this can lead to discolouration and may void the warranty. A 12 x 40mm timber fixing screw through each flange is the minimum fixing size for fixing steel battens to timber. M5.5 x 40mm batten zips are usually the minimum fixing size for attaching steel roofing battens to steel beams and supports. When attaching metal roof battens to the supports pairs of screws should be in line with each other and the supporting rafter. Most steel battens have a convenient groove on the bottom flange to make inserting screws a simple non-slip process. It’s important that you avoid contact between metal roof battens and copper. Copper may be present in hot water overflow piping or downpipes and even the water flowing from this copper could cause serious corrosion issues for your metal roof battens or roof cladding. Other metals and materials may be incompatible also so keep this in mind when choosing your battens. And you can always call on the helpful experts at No.1 Roofing and Building Supplies when you need some reliable advice.